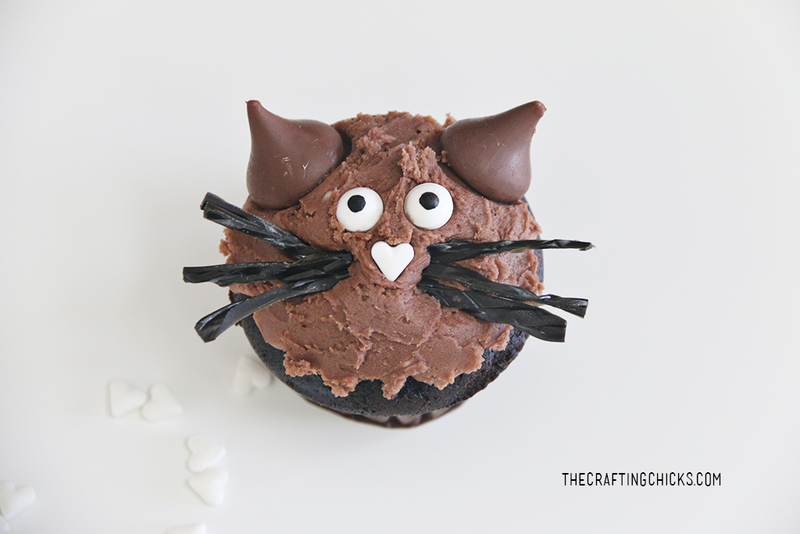 This Cat themed desserts is so “MEOWY” adorable and clever! 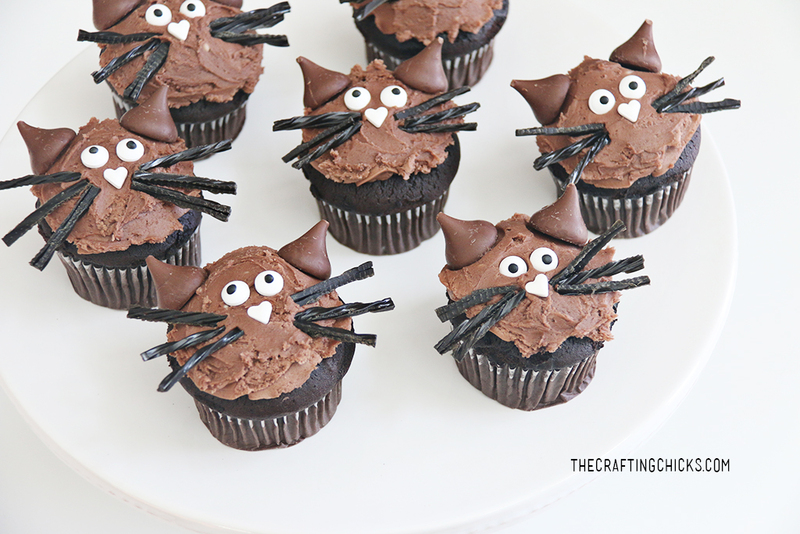 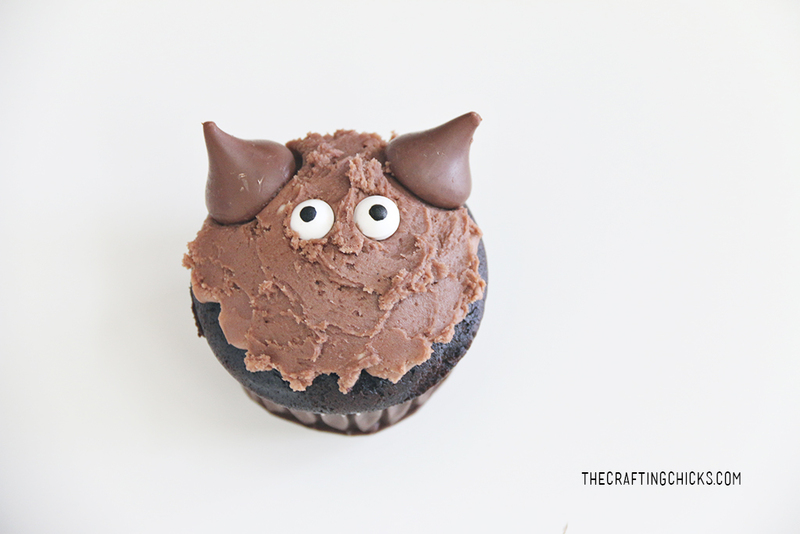 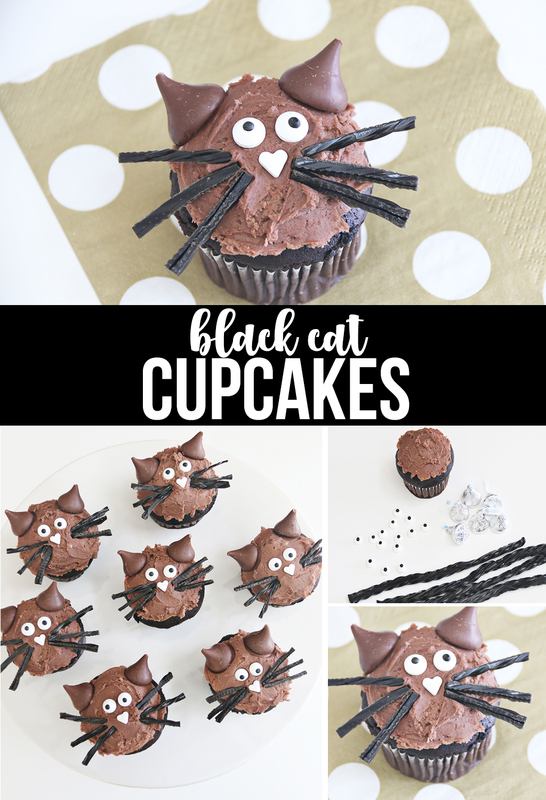 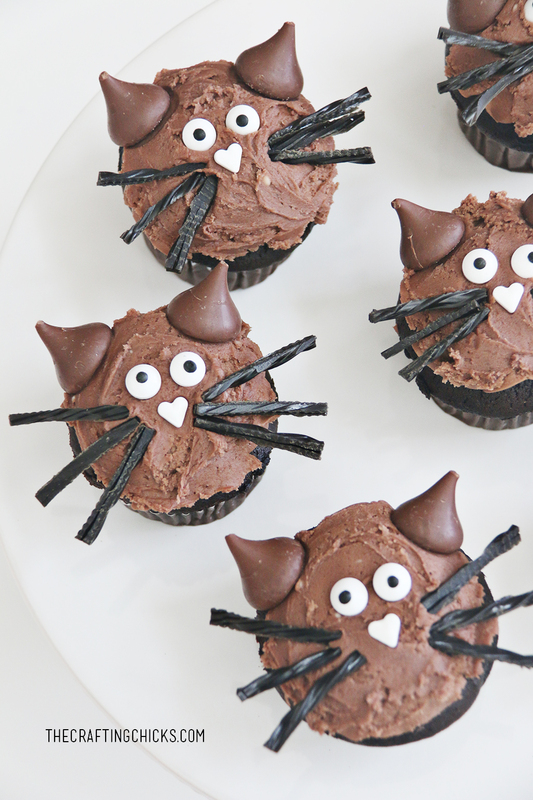 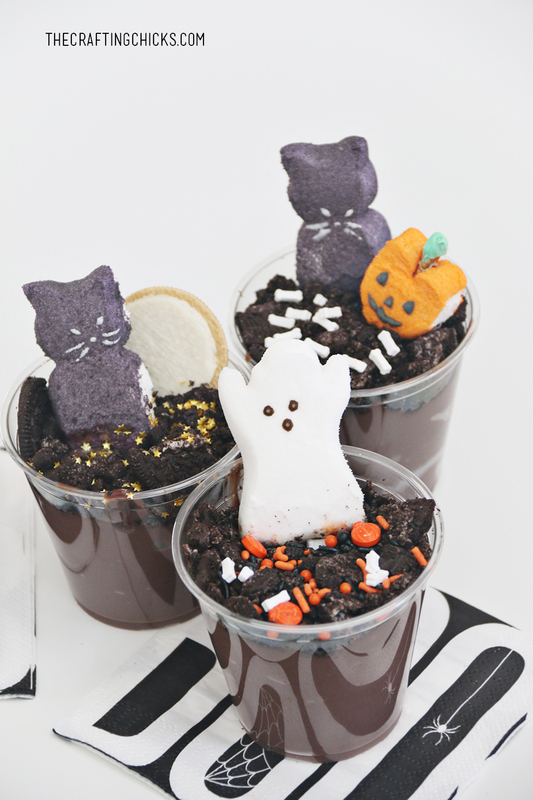 Make these DIY Cat Cupcakes for Halloween for a sweet treat that is almost to cute to eat. 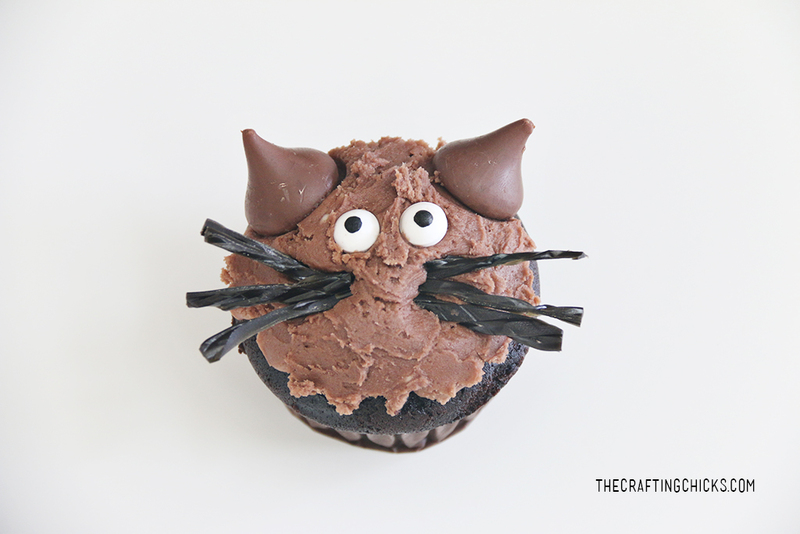 We made these Cat Cupcakes for our Witch Tea Party, but really they should be made year round! 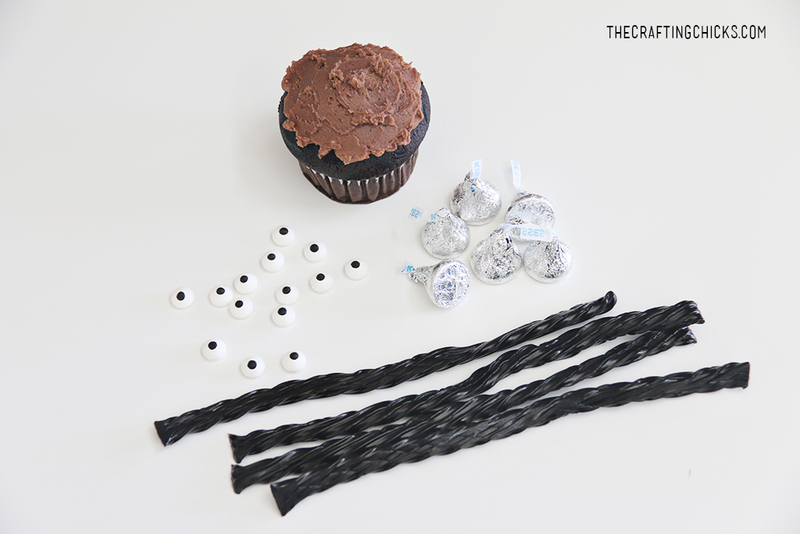 You just need a few supplies to whip this sweet treat up! 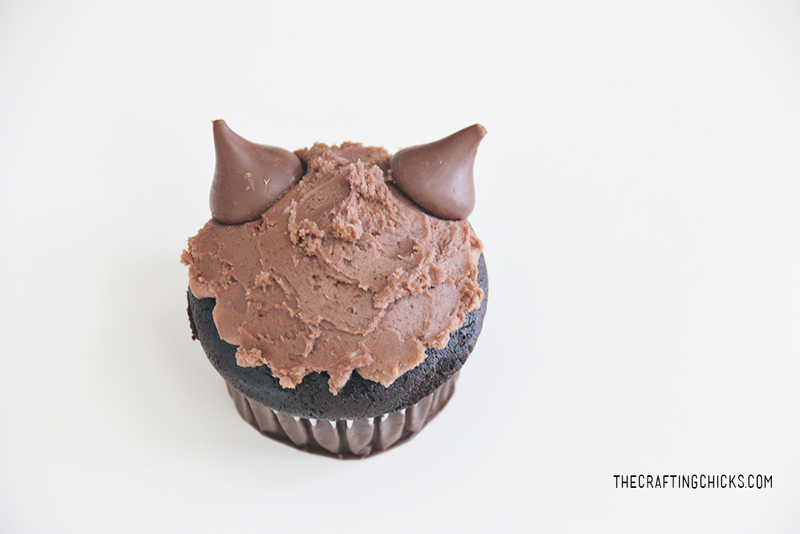 Add two Hershey Kisses ears on either side of the top of your cupcake. 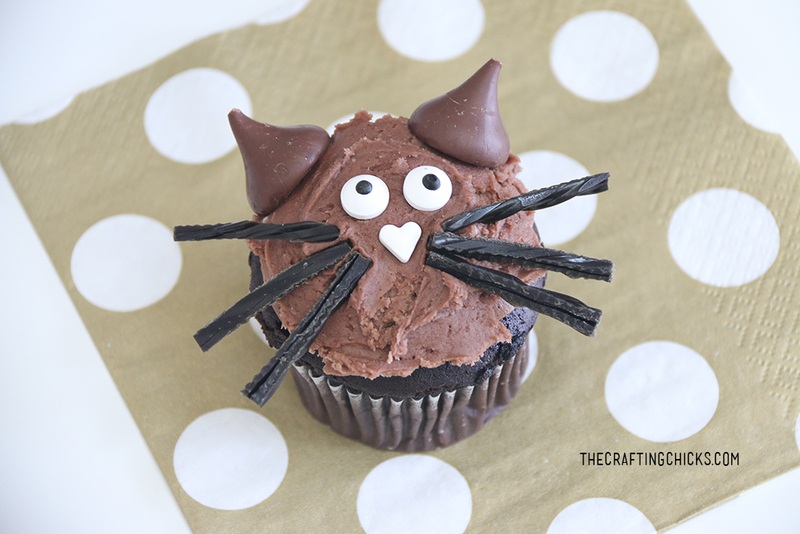 Add two small candy eyes. 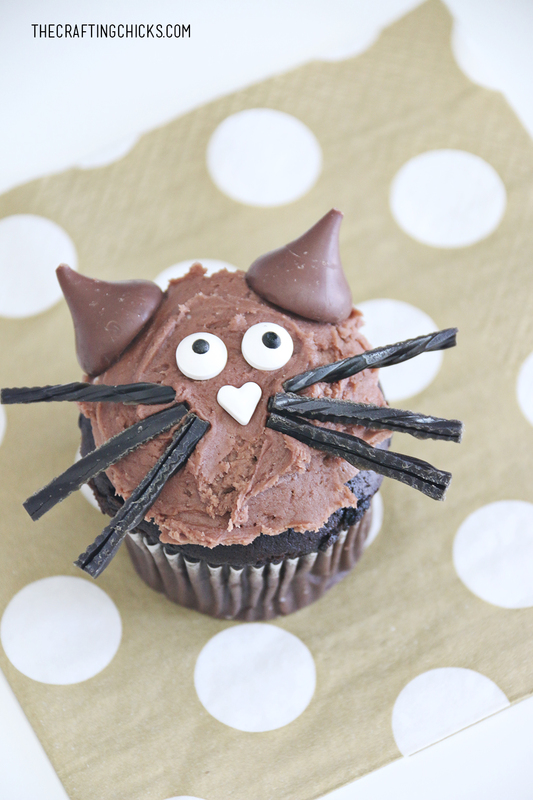 Cut small pieces of black licorice, and add as whiskers. 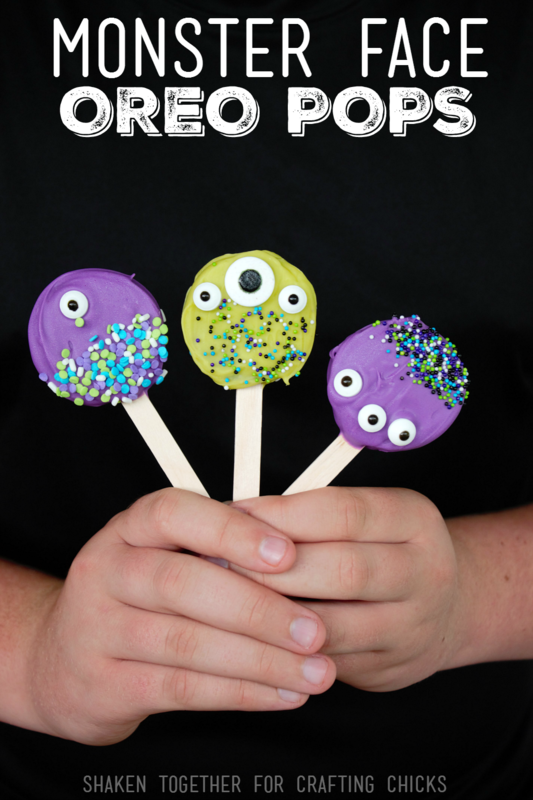 3 on each side. 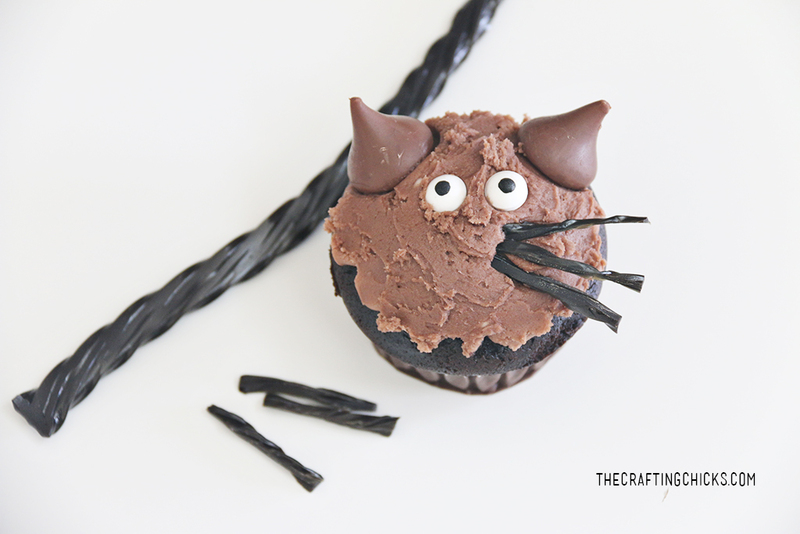 We found using kitchen scissors is the best way to cut the licorice whiskers. 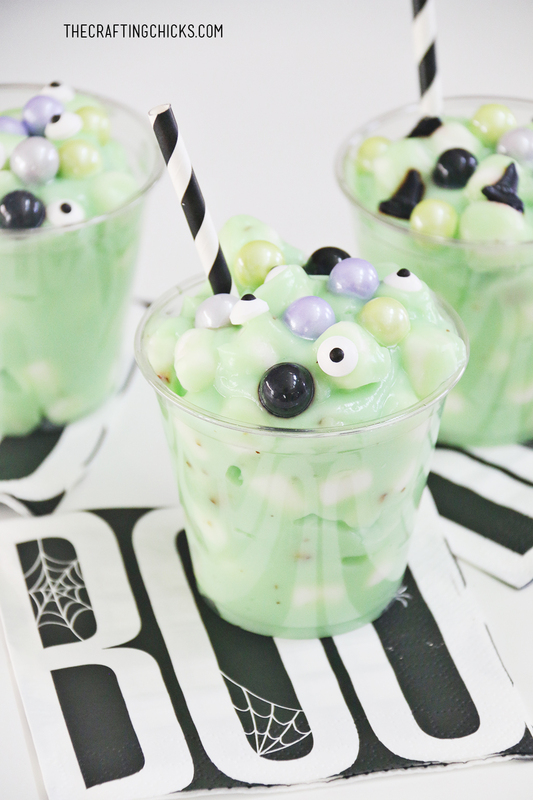 Top off with an adorable White Candy heart! 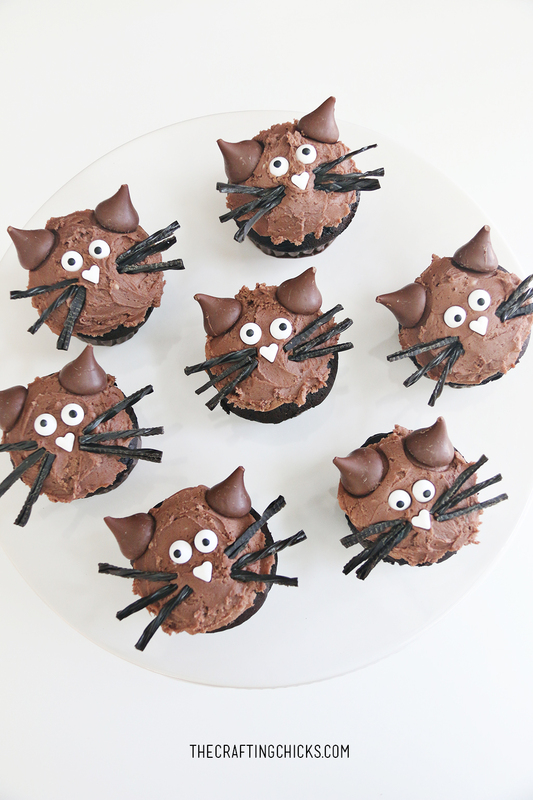 Now you have the PURRR-fect cat treat for any feline lover!